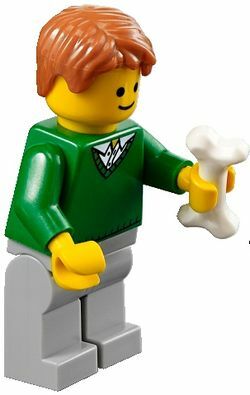 The Pet Shop Owner is a Modular Buildings minifigure released in 2011. He has orange hair, the classic smiley face, a green sweater and light stone grey legs. Facts about "Pet Shop Owner"
This page was last edited on 9 January 2016, at 23:33.